Bicycle vs. Bicycle. Both damaged, both unridable. One of them arrived to our workshop. It wasn’t just a crack in the tube. 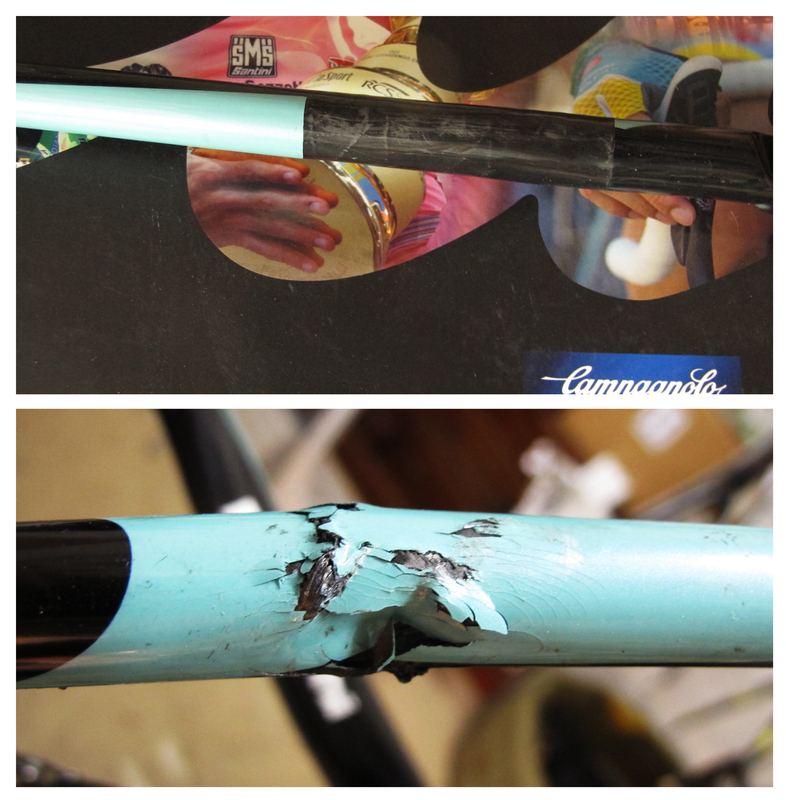 The tube was crushed, aluminium dropout was bent, space between dropouts was incorrect and centre line of rear end of the bike was off – “chain reaction”. Within 10 days, frame was ready to be ridden. Space between dropouts was corrected and entire frame has ben rejigged in order to reset centre line of the frame.